Our specialization in Directional boring is used for installing telecommunications, power cable conduits, water lines, sewer lines, gas lines, oil lines and product pipelines among other specialized underground infrastructure. Used for crossing waterways, roadways, shore approaches, congested areas, environmentally sensitive areas, and areas where other methods are costlier or not possible, it provides less traffic disruption, lower cost, deeper and/or longer installation, shorter completion times, directional capabilities, and environmental safety. 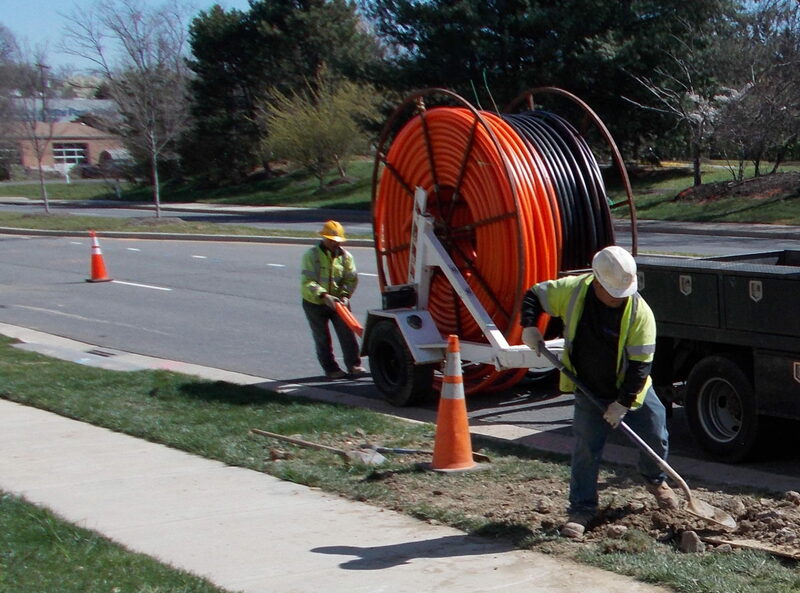 We offer 24 hours a day 7 days a week Fiber Optic Emergency Restoral Service. Efficient fiber optic communication network restoration depends on rapidly finding the problem, knowing how to fix it, having the right parts and getting the job done quickly and efficiently. We offer fiber optics services for a variety of applications and deliver high quality, professional results. We specialize in horizontal directional drilling, trenching, utility construction and fiber splicing in commercial, residential, municipal and industrial sites. N to N Fiber, Inc., was co-founded and is operated by Stephen M. Noone and Lyle Nordquist, bringing over 60 years of cumulative communications experience and knowledge together. We are committed to provide consistent premium quality fiber optic professional services to meet our diverse individual clients’ fiber optic needs and expectations every time.